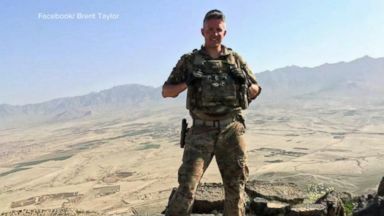 U.S. Army Major Brent Taylor's penned a powerful Facebook post urging Americans to exercise their "precious right to vote." 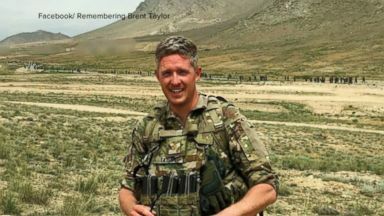 Army National Guard major Brent Taylor was shot and killed by member of the security forces he was there to help strain. He also served in Utah and hundreds turned out as he left for his fourth overseas deployment, it was supposed to be a one-year tour. He's willing to sacrifice, leave his family to fight for his country and I think it's really honorable. He had seven children, Meghan, Lincoln, Alex, Jacob on, elle, Caroline and wife Jenny. He just cared. He was excited that he was changing the word. He urged everyone to vote hoping that we all remember that we have far more to unite us than divide us. A hero to his family and our nation, with an important I'm mikie Sherrill and I approve this message.